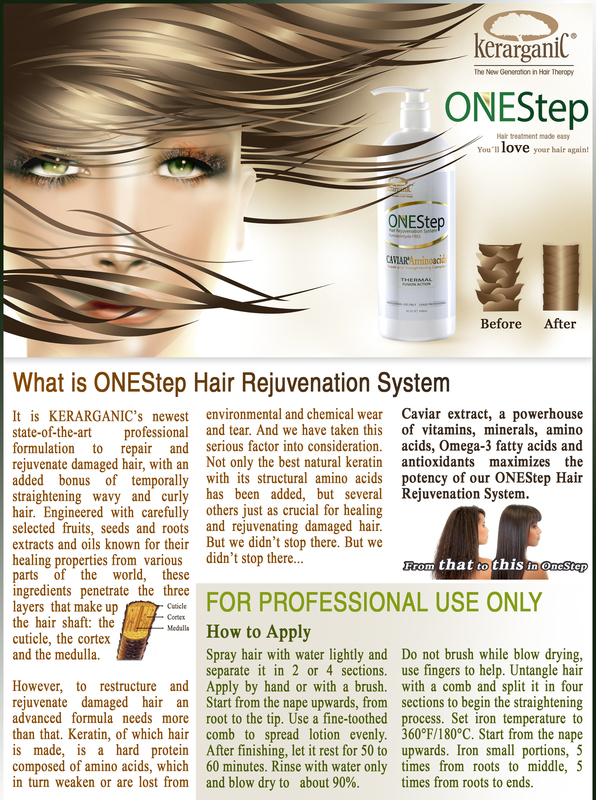 KERARGANIC ONEStep HAIR REJUVENATION SYSTEM has been formulated with carefully selected fruits, seeds and roots extracts and oils known for their healing properties.And there is more: not only the best natural keratin with its structural amino acids has been added, but several other amino acids just as crucial for healing and rejuvenating damaged hair. And we didn’t stop there! 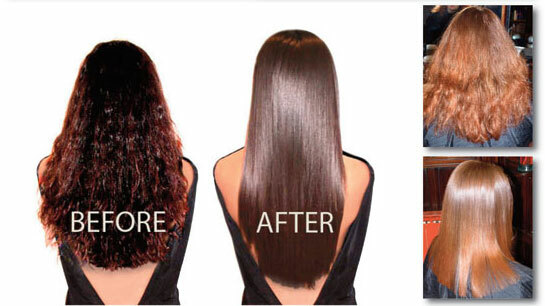 Caviar extract, a powerhouse of vitamins, minerals, amino and Omega-3 fatty acids and antioxidants maximizes the potency of our ONEStep Hair Rejuvenation System. 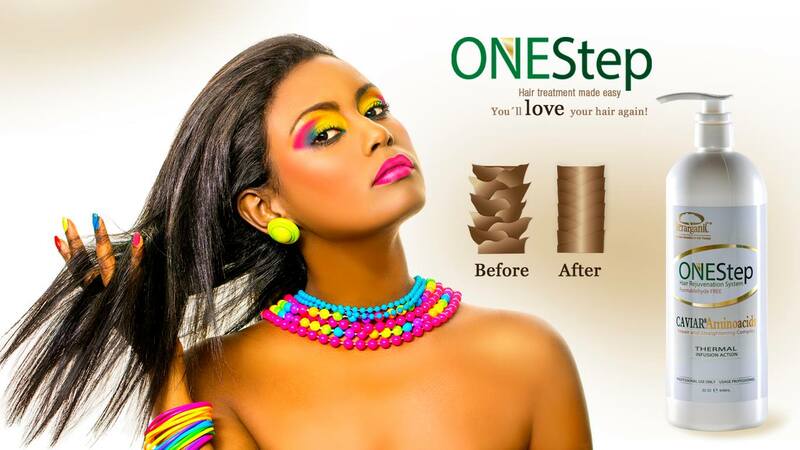 From “this” to “this” in ONEStep! Seed Oil, Glycine, Alanine, Serine, Valine, Threonine, Proline, Isoleucine, Histidine, Phenylalanine, Citronellol.